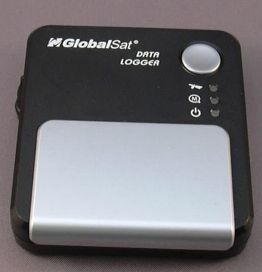 The GlobalSat DG-100 USB data logger is a strange bird. Looking rather square-ish it will certainly not win any prices for good looks, although the overall design is not too shabby either. So, let's look for something else that differentiates this device from the other data loggers on the market. Firstly, this is really mostly just a data logger. It does not have a bluetooth module, and the integrated USB cable is primarily used to transfer the log data, to configure the device, and to charge the batteries. You can use the DG-100 as a USB mouse, but only after standing on your head and waving with one arm. Well, you need to use the data logger program to switch the DG-100 to "G-Mouse" mode and back. Speaking of the USB cable - it may look a bit strange at first, and you might wonder if it will be dangling loose after a short while. However, Globalsat have cunningly incorporated a little magnet into the body of the DG-100, and this engineering trick keeps the USB cable firmly in place when it is not in use. The DG-100 has three LEDs ( GPS status, memory status, power status), a Push-to-log button that doubles as the software power-on button. Unfortunately the DG-100 does not switch on when external power is applied. This means a permanent in-car installation is not possible. Switching the device off while connected to USB is not easy either - it is not really clear if you actually managed to switch the device off or not because the LEDs are overridden by the applied power. The DG-100 is powered by two AA batteries. 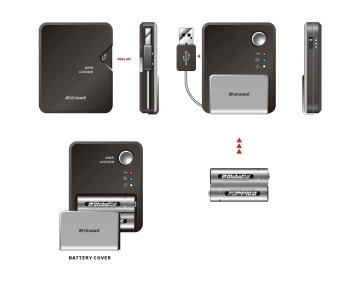 It comes provided with 2500mAh rechargeable batteries. Fully charged those are good for 24 hours before the low battery warning comes on. The battery compartment cover is not overly user friendly, and did not survive a little drop (oops) either. Initially I used a tape to hold the cover in place, but fortunately I was able to visit the Globalsat stand at CeBIT and score a replacement cover there and then. 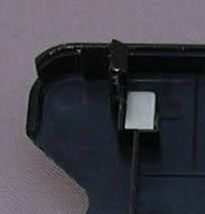 On the side of the device is the mode switch. You can select between modes A, B and C. That's very nice but you don't really know what these modes represent until you read the user guide. That user guide is on the provided CD. What this means is you cannot use the DG-100 out of the box - you need to first have access to a computer with a CD drive. 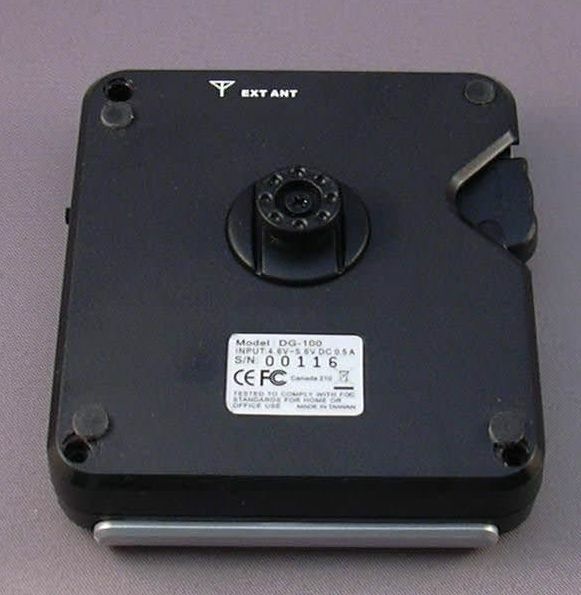 The back of the unit shows the connector for the belt clip. 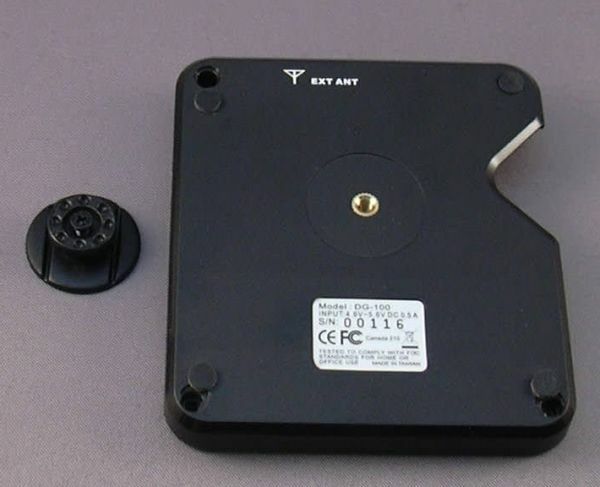 You can either affix the adapter with the provided double sided tape or - less permanent - with a litte provided screw. Carrying the DG-100 on the belt is possible but due to the size of the device this is not overly convenient. The device uses the SiRF III chipset. Should you for whatever reason want to use an external antenna you can do so by affixing one with a MMCX connector at the top of the DG-100. The DG-100 is not watertight. If you want to use it in rough conditions make sure to provide appropriate protection in the form of a watertight Otterbox or equivalent. 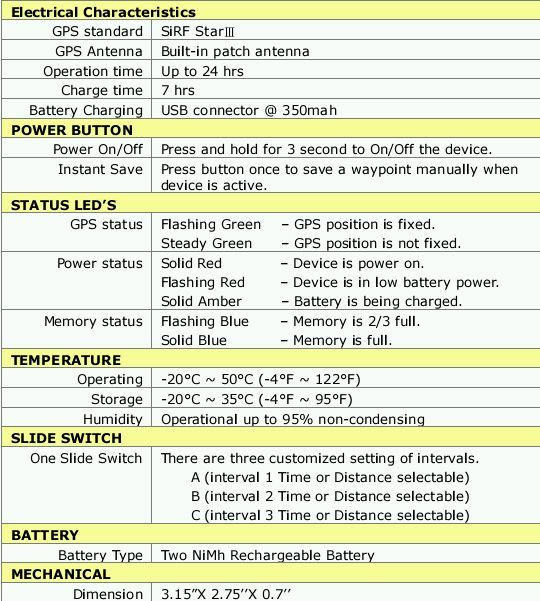 Here are the details that are listed in the user manual. They are not entirely accurate. For example the operation time is understated significantly which is actually a good thing. 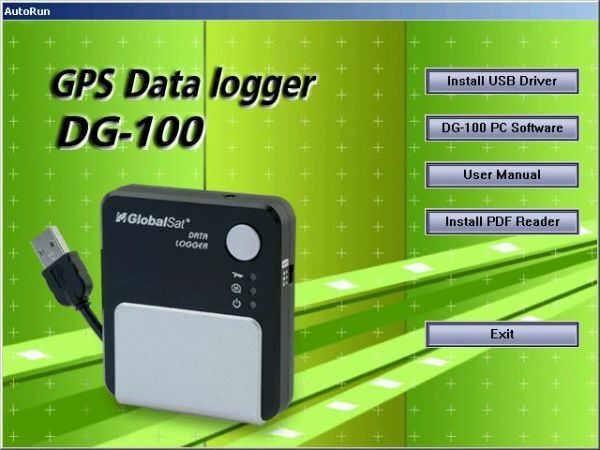 The data logger program comes on the included CD but can also be downloaded from Globalsat's website. First you need to install the driver for the USB-to-serial bridge. The DG-100 does not use the pretty common Prolific CP210x USB-to-Serial converter. 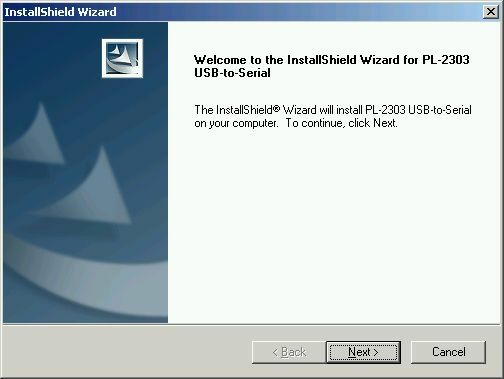 Instead, you need to install the CP230x driver, again either from the web or from the provided CD. Now you can install the main program. Here you select the COM port that was assigned to the device at the time of installing the CP2303 driver. You can rename the modes and change their parameters later. The A,B and C modes can be used to log either by distance or by time. The screen also tells you how much memory is used. Note that there is no option to specify if you want to overwrite old data. When the memory is full, logging will stop. The Memory Status LED will start blinking when the memory gets filled 66%, and will be solid when the memory is full. This is one of the weak points of the device - whenever you change settings you need to restart the DG-100. I hope Globalsat can fix that weakness in future versions. 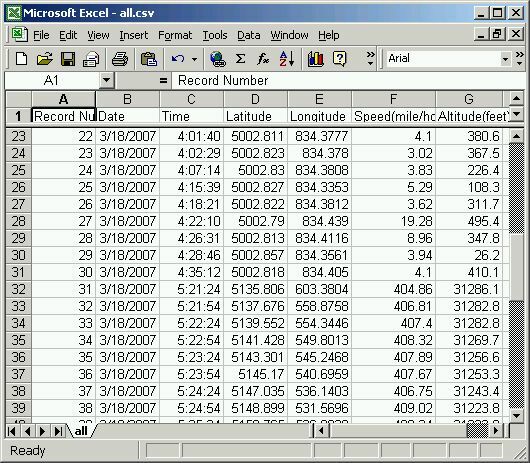 The collected data can then be downloaded from the DG-100 and exported in a number of formats (KML, CSV, Text). 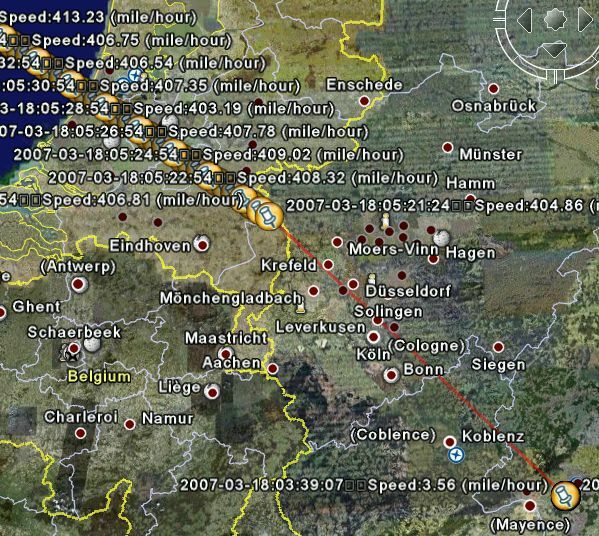 Google Earth KML is preferred, however that does not contain the altitude data. One thing I did not understand is how tracks are separated. One theory is that if the logger loses and regains a fix then a new track is started. I don't think I like that approach - I would want to be able to start a new track by power cycling the device (like it is done on the Wintec WBT-100). But for now you can end up with multiple tracks per journey, and true to Murphy only one track at a time can be exported to Google Earth. The mode slider is very easy to operate, also inadvertently. 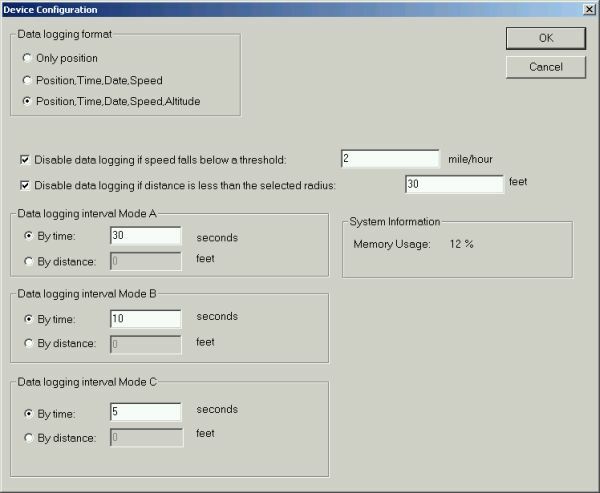 Switching between A,B and C will not actually change the logging mode - for the logging to resume with the new parameters you have to power cycle the data logger! This is a sure recipe for confusion and lost data. Mode switching should be seamless, and I hope Globalsat can implement that in a future version. Above is an example where I decided to change the logging mode at the top intersection. Instead of logging in the new mode the device simply stopped recording. It also had a rough day, and showed quite a few bogus data points in countries far, far away (Look at that speed!!!). Another - cosmetic - issue can be seen in the pin labels of Google Earth. Globalsat tried to use carriage returns but those are not supported by Google Earth, and come out as squares. As you can see, altitude information is not included in the KML export - use the CSV export if you need that. To add insult to injury the device switches off when USB power is applied. This makes it completely impossible to use the DG-100 in a fixed car installation scenario. 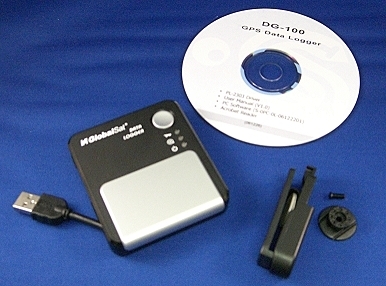 The DG-100 has a limited set of functionality, it is primarily a datalogger, only under difficulties can it be used as a USB GPS mouse. The usage of a low power GPS chipset allows uninterrupted logging for 32 hours. 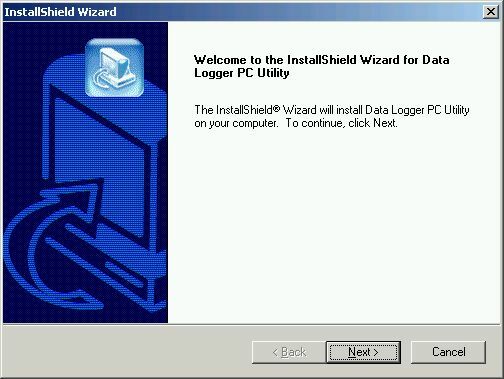 Logging can be done in a very flexible way - by distance, by time, or even with a Push-to-log (something most other data loggers are missing). If you are happy with that feature set then the DG-100 is certainly worth considering.